Who says Halloween can't be glam? 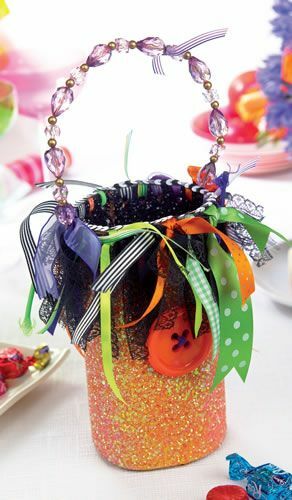 Read our step by step guide how to make this super cute trick or treat candy collecting tub. 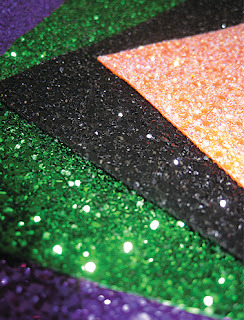 Sandwich back-to-back, sparkly side out, 2 sheets of A4 orange & black glitter fabric. Glue in place. 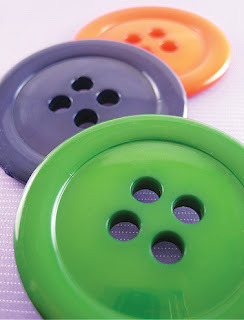 With a standard hole punch, cut out one row of holes along one long edge. This will form the rim of your tub, where you thread the ribbons through. 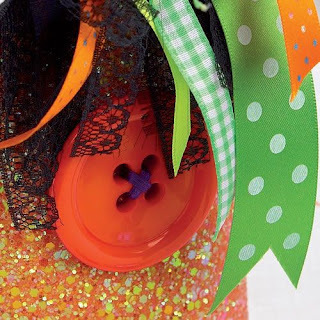 Cut a mixture of orange, black, purple & green ribbons to different lengths. 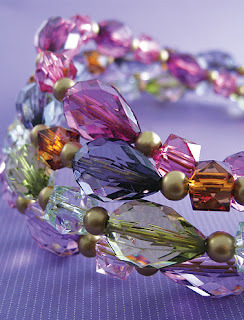 Thread decorative beads onto a piece of strong malleable wire to make a handle. On the reverse of a piece of glitter fabric draw a circle using a compass set at 57.10mm mm radius. Cut the circle out of the fabric with a pair of sharp scissors. Draw another circle in the middle - compass setting: 47.10mm. Now, at 1cm intervals cut from the outside edge inwards to the inner circle/line creating a fringe. This will form the base of your bucket. 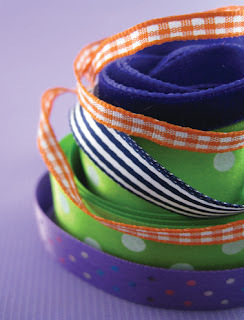 Tie the contrasting ribbons through the holes & knot in place. Now slide the base into place & fold the cut sections up onto the inside cylinder walls. Glue in place. Thread the handle through opposite points of the ribbon rim and tie in place. Finish the rim off with a row of black & white strung sequin. Glue in place. Tip: It doesn’t matter if the ribbons fray – this will add to the look!